The police-brokered peace and obtained letters of apology from the perpetrators, but did not file an FIR. 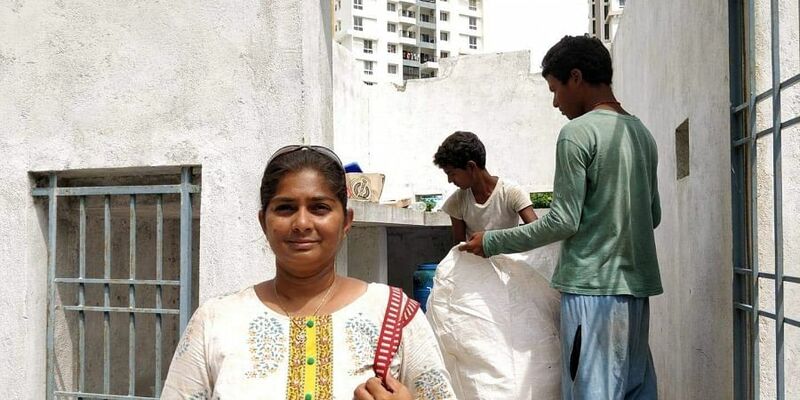 CHENNAI: A woman running a novel zero-waste management operation for high-rises outside the city on the OMR has apparently faced repeated threats from the local trash mafia losing business to her organisation as more and more apartment complexes want to adopt eco-friendly methods to dispose waste. I Priyadharshini, who co-founded WasteWinn in 2016, claimed that the trash mafia even threatened harm to her son after her organisation began operations in Mantri Synergy apartments in August. “The mafia told me they knew where my son goes to school hinting at dire consequences,” said Priyadharshini. The police-brokered peace and obtained letters of apology from the perpetrators, but did not file an FIR. However, the peace did not last and Priyadharshini allegedly received fresh threats after her organisation began operations in one of Hiranandani towers. “This time the mafia targeted our drivers and staff. They threatened to break their limbs and told them to quit,” said Shyam Kumar, Priyadarshini’s business partner, who oversees operations at WasteWinn. When Priyadharshini approached Kelambakkam police on October 5, they obtained apology letters again and warned the perpetrators not to interfere in WasteWinn’s operations. However, this time too, they did not file an FIR and are yet to even give Priyadharshini a CSR copy. “The group which threatened Priyadharshini in October is different from the one which threatened her in August; so we didn’t file an FIR. We have warned of strict action if they again trouble her or interfere in WasteWinn’s operations,” said an investigating officer. Residents don’t mind spending to save the environment. Unlike most parts of the city where public apathy plagues source segregation initiatives, the nouveau riche high-rise communities of Kelambakkam, Padur and Navalur are keen on eco-friendly methods to dispose of waste. The trash mafia’s handling of the waste, when the apartments came up, had disturbed residents “It was heartbreaking to see lorries dumping our waste in the canal. So we decided to find an organisation that would do composting and recycling,” said K Siva Baskaran, joint secretary of Olympia Opaline Residents Welfare Association. WasteWinn emphasises segregation at source in all 3,700 households it caters for and recycles non-biodegradable waste in its facility at Medavakkam. Less than 10 per cent of the four tonnes of waste they collect reaches a landfill. WasteWinn charges each family around `40 a month. This is marginally higher than what the trash mafia charges. “Because of the distance, we have to charge more,” said Priyadharshini. Trash managements too have opposition?Funny to know that .